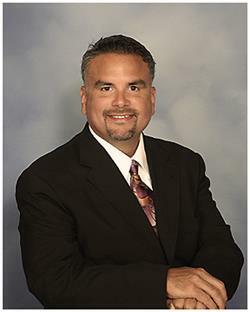 Mr. Rick Rodriguez is currently the percussion director and Associate band director at Cedar Ridge High School, Round Rock TX. Rick has been the director of the Cedar Ridge Symphonic Band and is currently assisting all of the Cedar Ridge Concert Bands and the Cedar Ridge Wind Ensemble. He is also the primary director of the Cedar Ridge Jazz Ensemble and the Cedar Ridge percussion program. Mr Rodriguez and his ensembles have been fortunate to have several appearances at the Midwest Band and Orchestra Clinic held annually in Chicago IL. Mr Rod is also a busy and active percussion arranger and versatile clinician. In his younger days, Rick was the “center snare” of the infamous University of North TX PASIC Drum Line where he earned his bachelor’s degree. Rick was also a snare drummer for the Concord Blue Devils. Rick has been a staff member of the Blue Devils, Phantom Regiment, Blue Knights and is currently with The Cavaliers Drum and Bugle Corps. He has also been on the adjudicating staff of Drum Corps International (DCI), Bands of America (BOA) and is currently on the WGI judging panel. Mr. Rodriguez is endorsed by the Zildjian Cym Co., Innovative Percussion, and Evans Drum Heads.